Deciding on which web hosting company to host your website with should be the first step when developing or designing any website. Depending on your situation, different web hosts can provide certain benefits that you can use to your advantage. 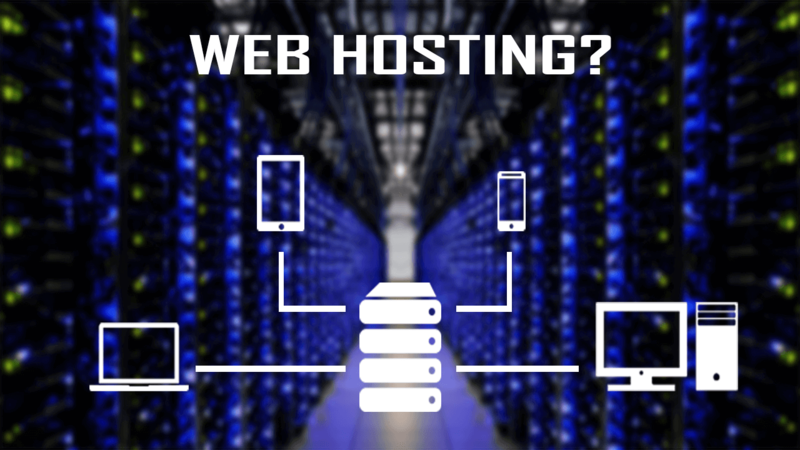 First and foremost, it is important to understand what type of web hosting you require – there are various types, so we’ll take a look at each one to give you a better understanding of what they mean, and which features they offer. Shared Hosting: Shared hosting pretty much does what it says on the tin. Multiple websites can ‘live’ on a single server, so shared hosting generally means that you will be sharing your server space with thousands of other users. If your website doesn’t require too much space, for example, a personal website or blog website, then shared hosting is an affordable option. Why is it affordable? Because the hosting company can purchase one server, and host multiple websites, and therefore customers, on one server. They make more money by sharing the space across thousands of customers, so they can offer more competitive prices compared to other types of hosting. Reseller Hosting: Reseller hosting is ideal if you are looking to be the host of multiple websites, or if you have multiple websites yourself and don’t want to share the space with thousands of other users. Reseller hosting is more expensive than shared hosting, but it offers you full control of all the websites hosted on your server, allowing you to change the usage per customer. If you’re not looking to sell the server space, then the affordability of reseller hosting goes right down the pan and probably isn’t suited to your needs. Dedicated Hosting: Are you a very large business or corporation? Then dedicated hosting is probably the right choice for you, where your website is the only website on the server. You won’t have to worry about sharing any server space with other customers, and you’ll have a lot more control compared to shared hosting. If your website generates a large amount of traffic, or you require a lot of storage and data on your server, then dedicated hosting pretty many guarantees that you won’t run out of space, or experience much, if any, downtime. A great option for large scale businesses, but most certainly overboard and very expensive if you’re running a small company or personal website. VPS Hosting: VPS hosting is similar to dedicated hosting, but comes in with a more affordable price tag. If you’re a large-scale business, but can’t afford, or don’t require an entire dedicated server to yourself, then Virtual Private Server (VPS) could be the option for you. You’ll still have the same amount of control and flexibility as a dedicated server, but you do share the space with others, but far more few than shared hosting. The server is divided, privately, between websites, giving each user a generous amount of data and storage space, into sections. Cloud Hosting: Cloud hosting is becoming a more popular choice for growing businesses, allowing you to upgrade your hosting as you go. If you’re a small business with ambitions to grow on a large scale, cloud hosting is a cost-effective choice, giving you the right amount of data and storage space you require, when you need it. Cloud hosting scales with your website, meaning that you don’t need to go out and spend all of your money on a dedicated or VPS server straight away, but you could end up receiving the same benefits and features, over time. Now that we’ve covered what each type of web hosting actually offers, it’s time to decide which web hosting companies are the best for web designers. Generally speaking, web designers, as a business, and web designers hired to design your website, are going to require a reasonable amount of storage space. There’s also a good chance that their required space is going to scale over time, so we would suggest VPS Hosting or Cloud Hosting to start things off. As a web designer, you’re going to want to make sure that your website has as little downtime as possible, as well as a decent speed and consistently high performance, so we would recommend SiteGround as our preferred web hosting company. Although they may not be the cheapest option on the market, SiteGround certainly excels when it comes to their hardware, features, and customer service. Their use of SSD’s will ensure that your website will load at the speed of light (close, but not literally), whilst offering multiple data centers to choose from to guarantee the speeds you’re after. Their cloud hosting plans start from £48.00 per month, giving web designers access to their user-friendly cPanel, with 1-click installs like WordPress, Magento, and Joomla, and free SSL certificates.